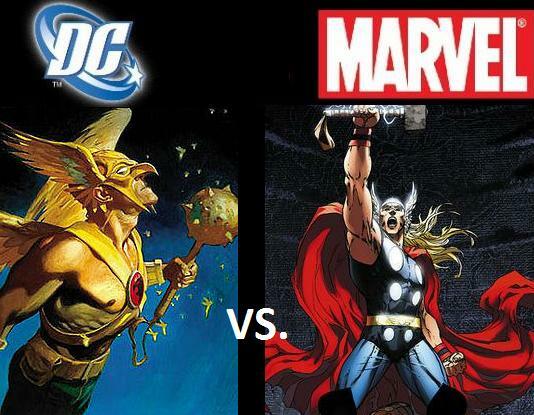 Marvel > DC every time. I'm so excited to read this I can't even read it, I had to comment first. I love this comment and your nerdiness. 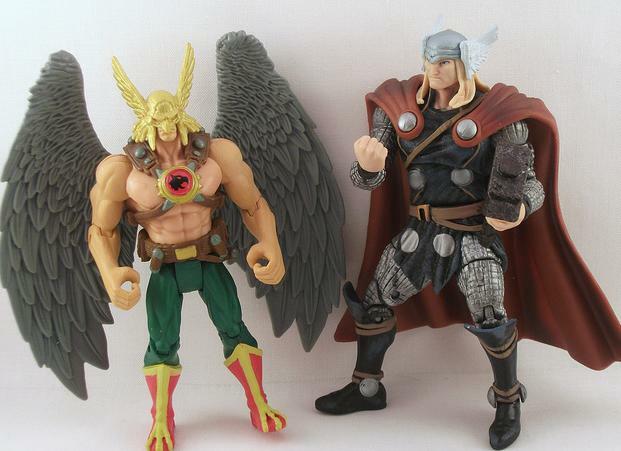 Hawkman looks like a nutcase Medieval Times reject. 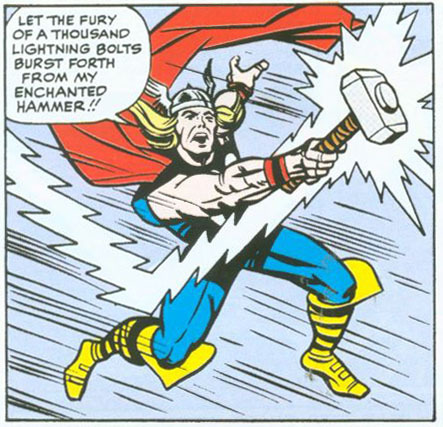 Thor's hotter and this fact alone makes him win. I'm still pressed about the Black Canary v. Black Widow one. I love Dinah but Natasha is an overall more interesting character. As is your taste bb! The Avengers is beyond amazing, give it a try. Avengers is lighthearted fun but if you didn't like Iron Man, you might not enjoy it that much. Skip IM2 altogether. I didn't like the first Iron Man, but I enjoyed the second one. Carter's got plenty of pretty toys, it's true, but Mjolnir trumps all of them. 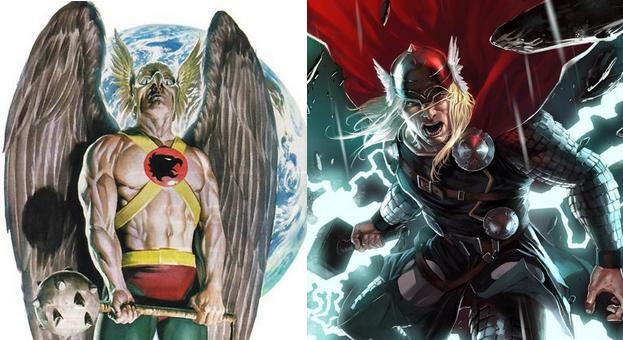 I do not give the victory to Hawkman in that field, no I do not. 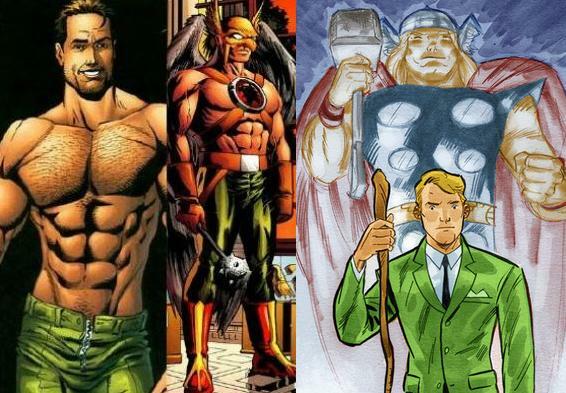 I really do love Carter (not enough to buy his solo series, but I think he works better when he's on a team like the JSA than as a solo hero anyway), but the Odinson would pluck them feathers without blinking. lol omg this comment. that song is going to be stuck in my head all night now. I love your icon. I just watched Bronson today. Amazing. 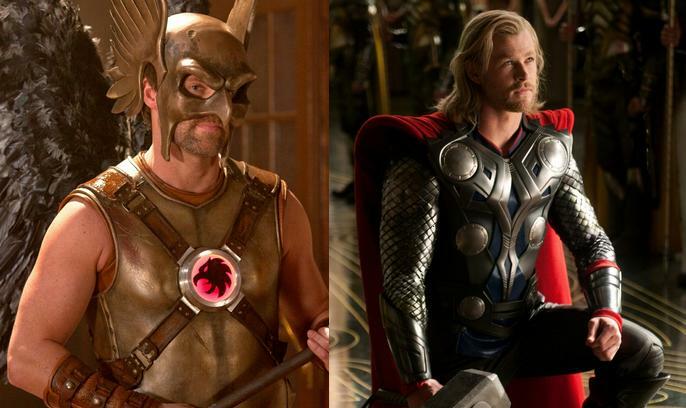 I find Hawkman more attractive (beneath the cheesy costume) than Thor. Loki is serving me some Kocoum realness in these.